I believe this very old compote was among the first order of china for The DeSoto, Savannah’s “grandest” hotel that was built on Bull and Liberty streets on the site of the U.S. Army Post, Oglethorpe Barracks. 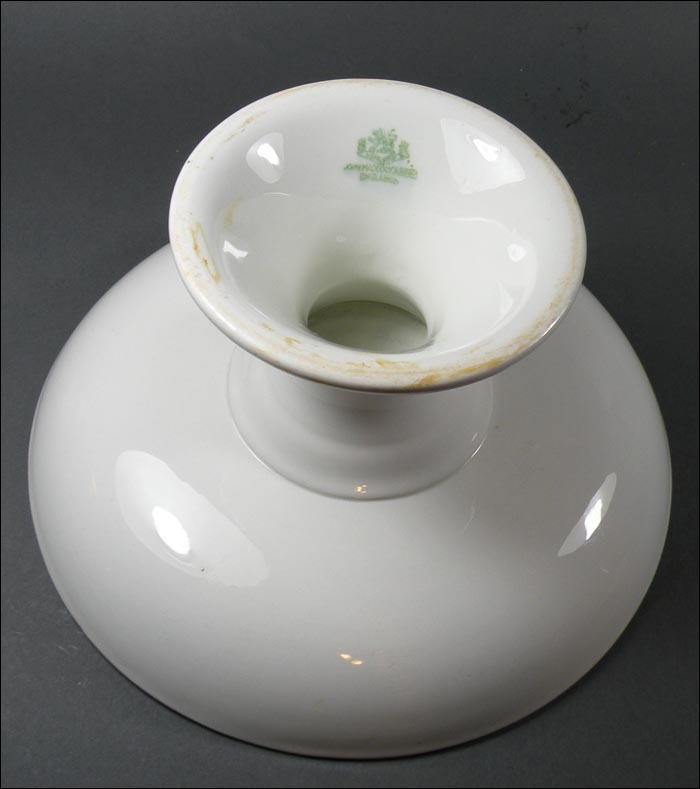 The compote was made by John Maddock & Sons, England, and based on the backstamp appears to have been made between about 1880 and 1896, which coincides with the hotel’s 1890 opening. 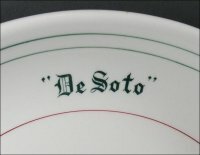 The DeSoto was razed in 1967 to make way for the current Hilton Savannah Desoto. 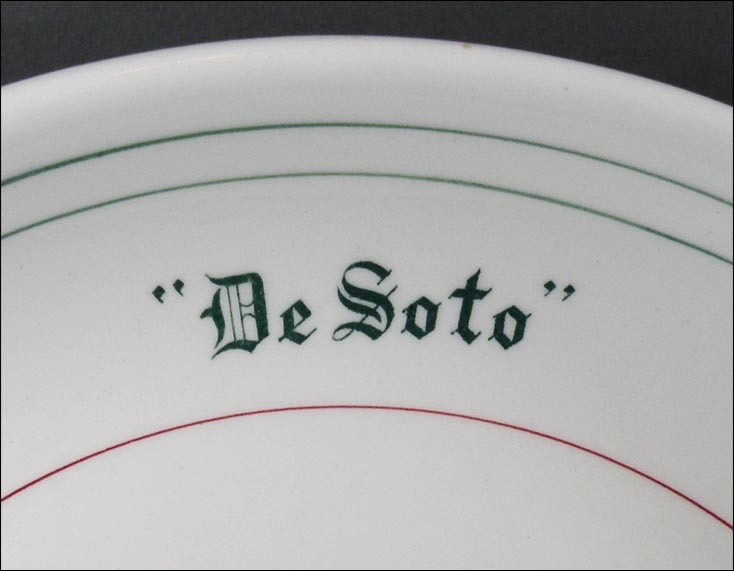 It might have been the so-called “haven of hospitality,” but there’s no doubt that The DeSoto was also very much part of the Old South plantation mentality, as reflected in the photo of a souvenir spoon from the hotel (shown below) that perpetuates Southern stereotypes. 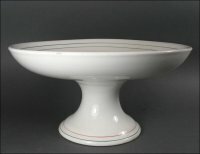 The compote is 8 ½” wide and 4 ½” high. There are a couple of areas underneath that were missed by glaze; these can be felt easier than they can be seen. And there are three small areas on the outside of the rim that feel rough and look like the glaze was knocked off without very little damage to the underlying china. 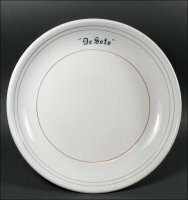 Other than that, there are medium use marks, but the compote is still shiny. 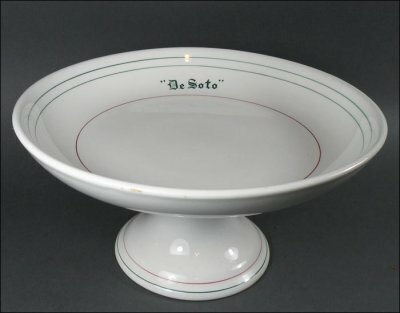 Such a nice, old piece!